Liverpool came from behind and then saw out the win with 10 men against a tricky Crystal Palace. Palace scored three times at Man City to land an impressive three points but the reds managed to get the victory through grit and graft. 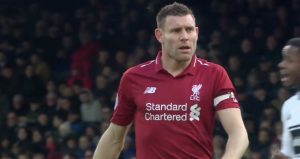 James Milner was chosen to fill in the tricky right back spot in the absence of Trent Alexander-Arnold whilst Joel Matip returned for his first full game back from injury. Palace memorably placed a massive dent in the reds title hopes back in 2013/14 but for long periods of the first half they were pegged back by a dominant Liverpool side. Both Virgil van Dijk and Joel Matip went close from set-pieces as the reds aimed to grab the games first goal. Liverpool had a strong appeal for a penalty turned down when Andros Townsend clearly handled the ball. That decision was compounded when 90 seconds later, from a pacy counter attack, Wilfried Zaha fired the ball across for Townsend to put the ball in the net. That's how the scoreline stayed until half time. But from the second half the reds came out, buoyed by the Anfield crowd, determined to sort this game out. 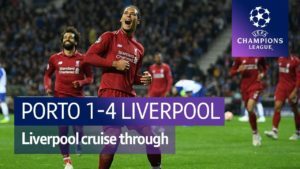 Within a minute Liverpool were level when Salah reacted quickest to a deflected van Dijk shot to dink the ball beautifully past Julian Speroni. 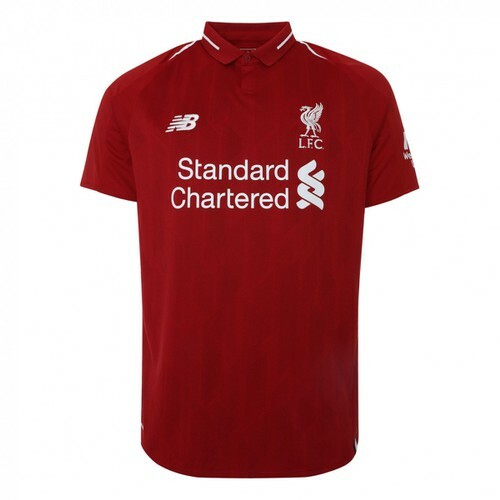 Minutes later the reds completed the turnaround when Roberto Firmino turned and fired in a scruffy shot from a Naby Keita pass. The crowd were jubilant but Palace weren't out of this yet. Their pace, principally from Zaha, and counter-attacking had the potential to cause problems. From a corner James Tomkins was at the back post to head in. 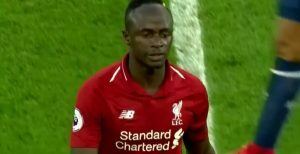 Replays suggested that both van Dijk and Fabinho were held by Jordan Ayew but it was unlike the reds this season to concede such a goal. 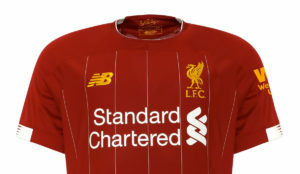 With 15 minutes left, Liverpool retook the lead. James Milner stretching for the ball and turning it back in and Mo Salah getting the touch just before it went over the line. His 50th Premier League goal arriving in his 72nd appearance - an identical record to the start made by Fernando Torres. As the minutes ticked away Zaha was proving a constant menace and James Milner was forced into two tackles that both earned him a yellow card. He was delivered the red card just before the five minutes of added time was shown. 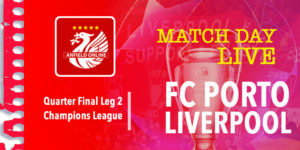 However Sadio Mane gave Liverpool a two goal cushion in injury time, before a late goal from substitute Max Meyer made the final 60 seconds a little bit of a nail-biter. 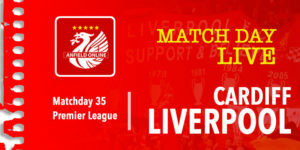 The referee blew his final whistle and the last team to beat Liverpool at Anfield had succumbed to a Premier League double this season from the reds. Liverpool once again stretch their lead to 7 points ahead of Man City's trip to bottom of the league Huddersfield Town. The reds now travel to Dubai for a training break with their next game 11 days away when hopefully the injury issues may start to be alleviated. Fabinho was subbed off late on after picking up a knock.